Have Planr suggest things for you to do around any location! Search Yelp's extensive database to find great things to do nearby you and add them to your Plan. During college, I traveled to many cities for on-site interviews at various software firms. These interviews generally concluded in the early afternoon and my flights out were often later that evening, leaving a significant amount of time for me to explore the city. However, finding activities that I wanted to do required a manual combing through various apps, including Yelp and TripAdvisor. Planr aims to automate that process and remove the need for a manual search through these services. Also in college, I was surprised by the lack of a good app for collaborating with friends on day-long itineraries of social activities. So, Planr also makes it easy to build and share custom plans with your friends. Planr is a tool that provides people with a new and convienent way to make plans with their friends. It has three core features. 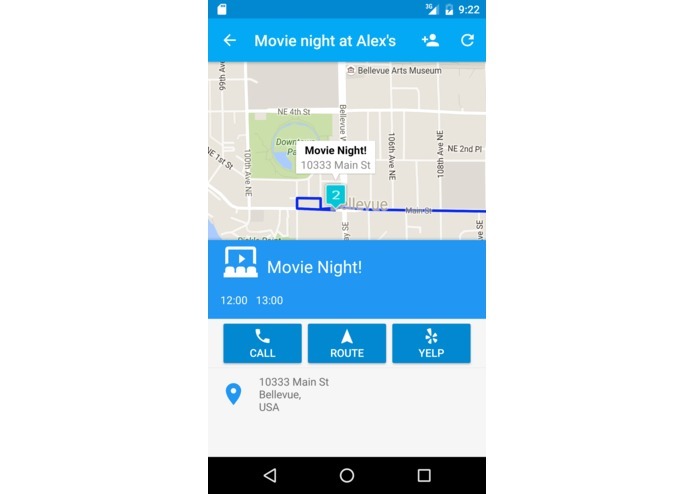 Planr can automatically suggest things for people to do. By providing the app with a location and some categories, such as "Coffee shops" or "Lunch", Planr makes use of Yelp's extensive collection of places and activities to suggest relevant items that are nearby. So for example, if I am in Seattle and I am looking for a coffee shop and then perhaps a park, Planr can suggest for me a good coffee shop and a park that is nearby that coffee shop. If I don't like the activities Planr suggests for me, I can request that it generate another Plan. 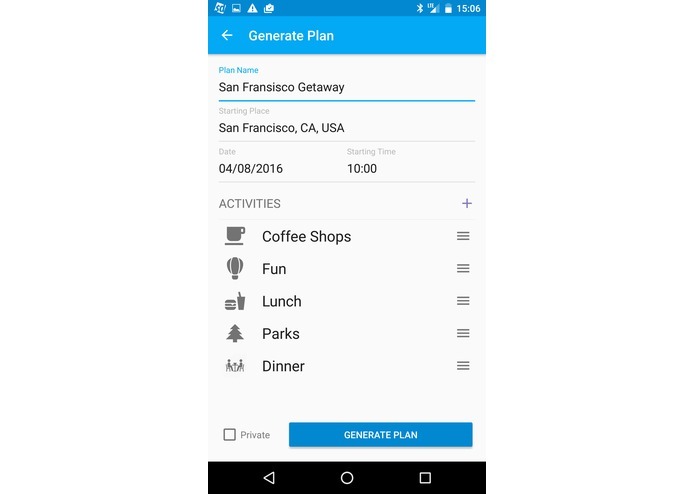 Planr can also be used to build custom plans if you wish to have more control. You can search Yelp's database for activities that are near you and add them to your plan. You can also create your own custom activities, such as a movie night or a business meeting, and add them to your plan. 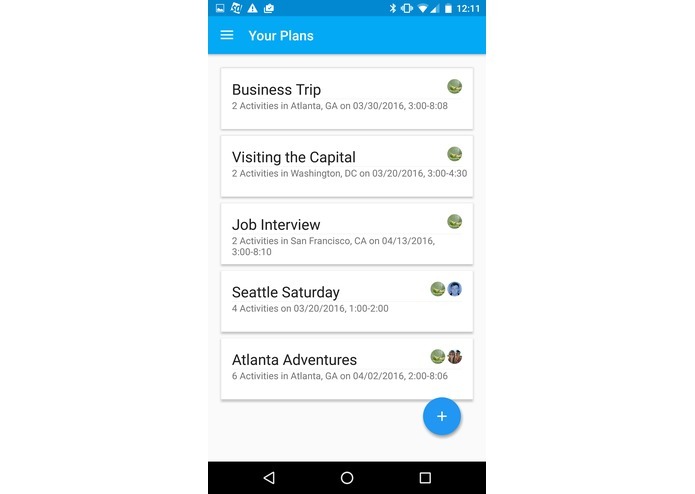 This makes Planr a versatile planning app. Plans can be shared with your Facebook friends. After you create or generate a plan, you can share it with any of your Facebook friends. Shared users can see and edit your plan so that everyone stays in the loop. Planr is a full-stack application. On the back-end, we use Python and Flask-Restful to serve up a RESTful API. The back-end also makes use of a MySQL database, which our Python code communicates with through SqlAlchemy. This back-end is hosted on an Azure server. On the front-end, we use Android and a series of Android packages, including Retrofit for communication with our API and the Otto bus for fragment management. 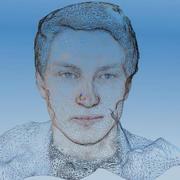 There are more event and activity services that we would like to integrate with in future iterations of this project. We think that concert services, like Last.FM or Songkick, would be great integrations to include as they would provide Planr with information on local concerts. 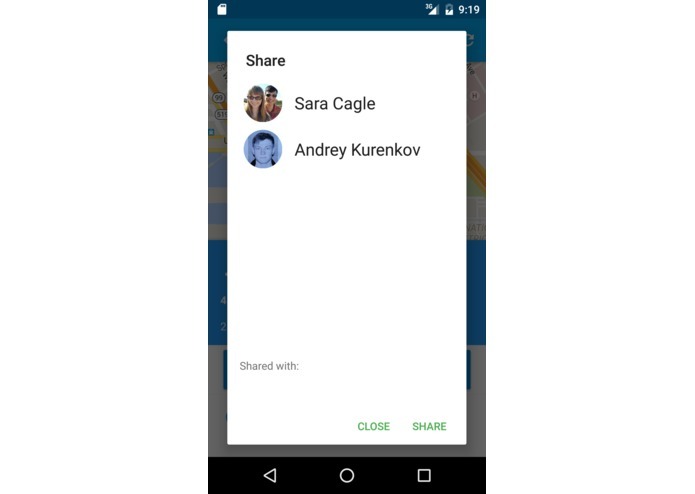 Users could build plans around these concerts and also share concerts with their friends. Another feature that we want to add in future iterations is the ability to search for plans that others have made. This feature exists already in a limited capacity, but we want to improve it by giving users the ability to rate plans and copy them to their own accounts. Follow the Google Play Store link below, enroll in the beta program, and download the app on to your Android device.